Welcome to Rose Cottage Designs. We're here to help take a little bit of the stress out of wedding day preparation by creating little parcels of bespoke wedding information with a quick turn around, but also with a big kick of personality. 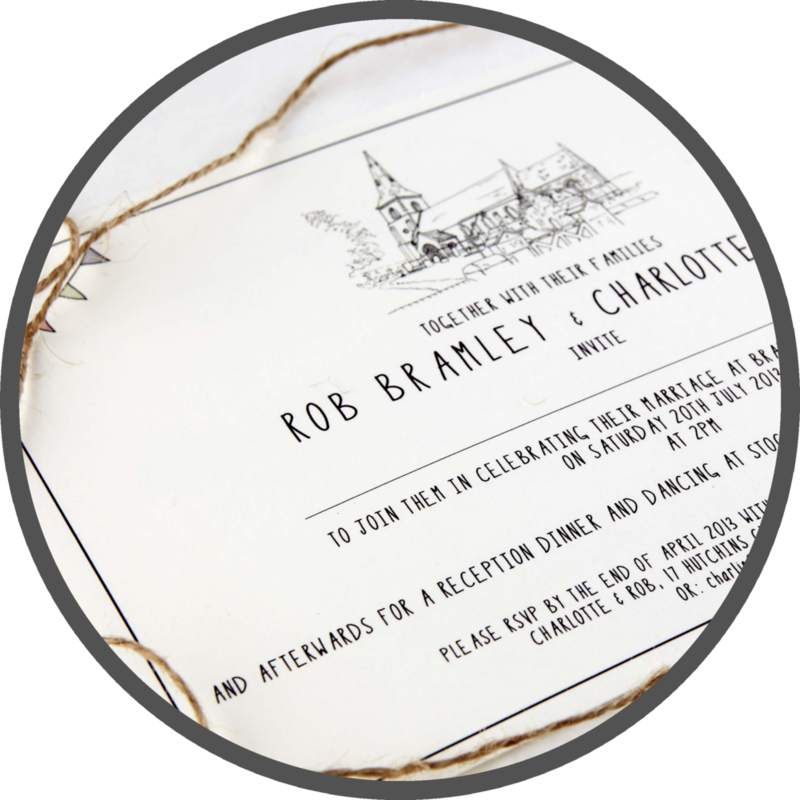 Rose Cottage Designs, established in Leicestershire in 2012 specialises in personalised wedding stationery for the Bride & Groom that want to surprise their guests with a taste of what's to come. Many designs can be personalised by colour and individual details these days, but how about giving your guests a real taste of the excitement by giving them a sneak peek into your upcoming day with hand-drawn, stylised illustrations of your actual wedding venues, completely and utterly besoke to you. The unique wedding bundle invitation package! The first range focussed on the invitations range, and this was quickly followed by Order of Service Cards, Menu Cards (with each course individually illustrated), Thank You Cards, Table Names, Place Cards & Table Plans.